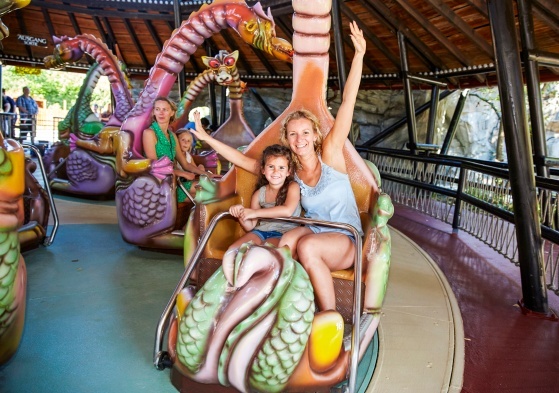 Get dizzy on this funny family carousel where children from 1 meter can ride with their parents or friends. Two spinning movements create big smiles and laughter through rapid direction changes. Either you prefer the dino-decoration, nutshells or a totally different theme – we are happy to provide you with your very own custom design.